Groups are likely the most important and key part of using Ecanvasser successfully - a Group reflects an exact segment of our database. There are many different reasons why you may want to create one, but if you want to do anything, you’re probably going to make a Group. Select either the individual records, or all voters. Create a new group, or add to an existing group. 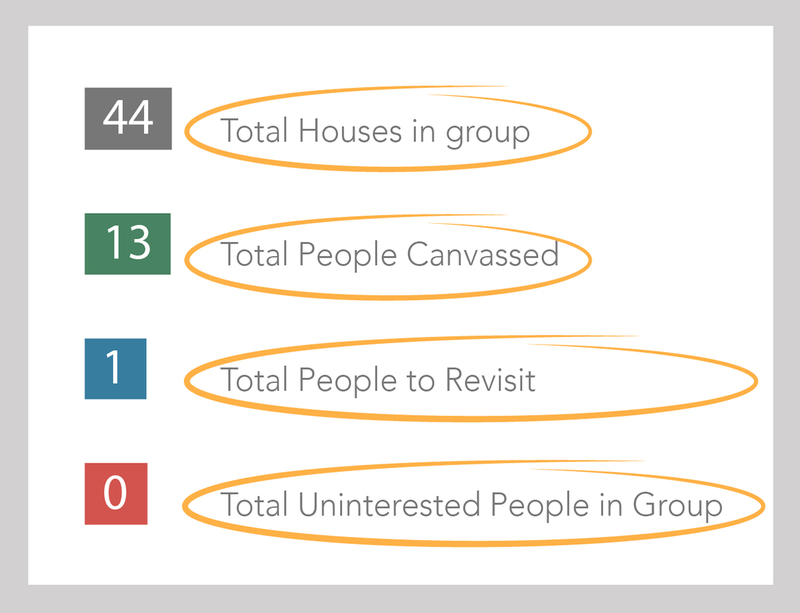 The Groups tab is somewhat different to the other tabs in our People Database. 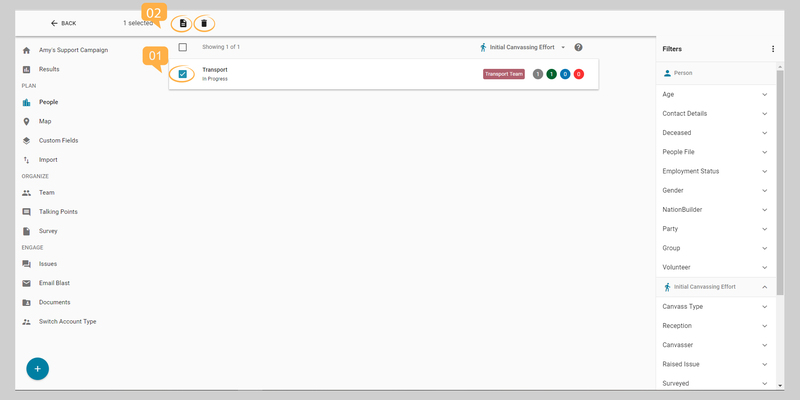 It contains a list of our current Groups, Statistics on the canvas status of a Group, and Quick Icons. Click on Group, followed by the newly created merged Group name. Repeat for the required number of individual Groups to be added to Group created for the merger. Create a new Group(s), giving it the title desired. From the Groups tab, we can use the Search and Filter functions in much the same way as on other tabs. The primary function of Ecanvasser is as a mobile canvassing app, and the creation of Groups is the primary manner in which canvasses are set up. However, Groups are incredibly versatile in their use, and have many other potential applications for organization, and record keeping. It's worth noting that Groups are most powerful when their use is combined with Custom Fields. Organization: as well as helping you keep track of your voters, you can use Ecanvasser to get as detailed a view of your organization! GOTV (Poll-striking): use Groups in tandem with Custom Fields to manage your polling day operation. Planning Ahead: Keep records of people who are willing to assist in certain ways so you have a useful starting point for your next campaign! Note: You may wish to adopt a standard naming practice for your Groups, particularly if you plan on using them for multiple tasks beyond canvassing. Develop a system that meets your needs!